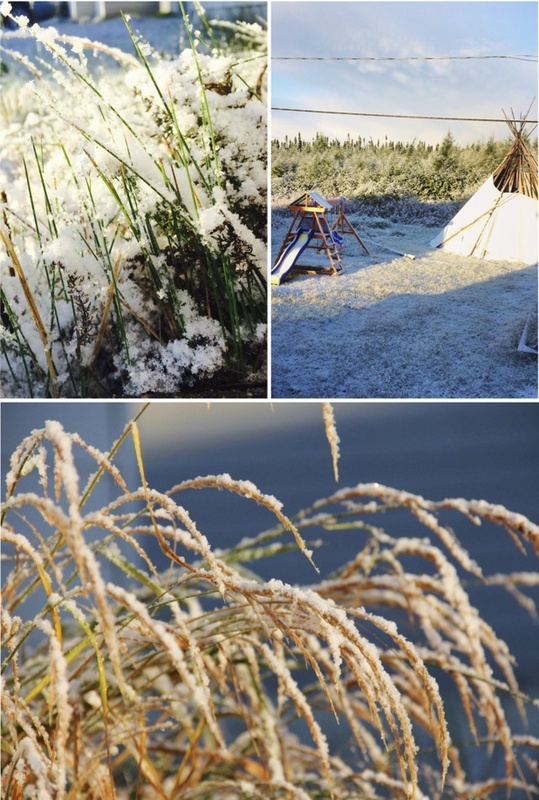 Earlier this week we awoke to a light dusting of snow all over the yard. It was incredibly beautiful, but it certainly came as a surprise. 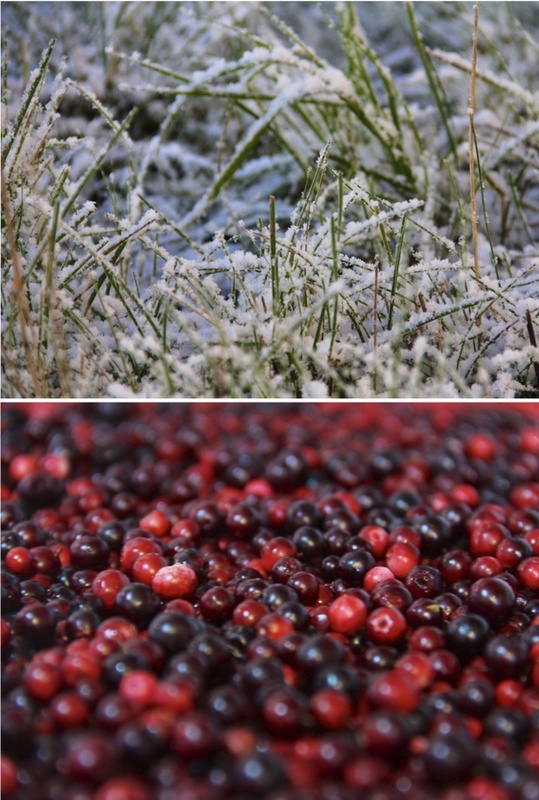 September is pretty early for snow, even for the north. On Saturday night, we made the most incredible homemade pizzas (using the dough recipe/method from this amazing book). I had recently bought a pizza stone off Amazon, and I was eager to try it out. Folks, it makes for some pretty amazing thin crust pizzas! You have to preheat your oven/stone to 600 degrees first, then you slide the pizza in and it cooks in just 5-7 minutes! It's really fun to watch. The next morning I used leftover pizza dough to create a buttery apple-cinnamon breakfast pizza. It was indulgent, and spectacular! My little toddler devoured it (as did his parents). 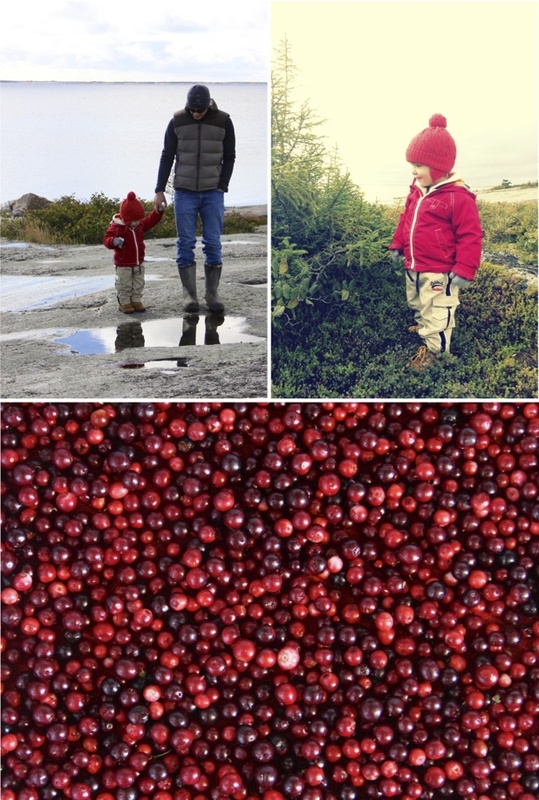 On Sunday we drove out to the bay to pick wild northern ocean-side cranberries (or lingonberries, as they call them in Scandinavia). Despite their tartness & bitterness, Zac ate them raw by the mouthful! I kept warning him, "I don't think you'll like that, we need to cook them first", but he kept eating them and asking for "mo canberries"! 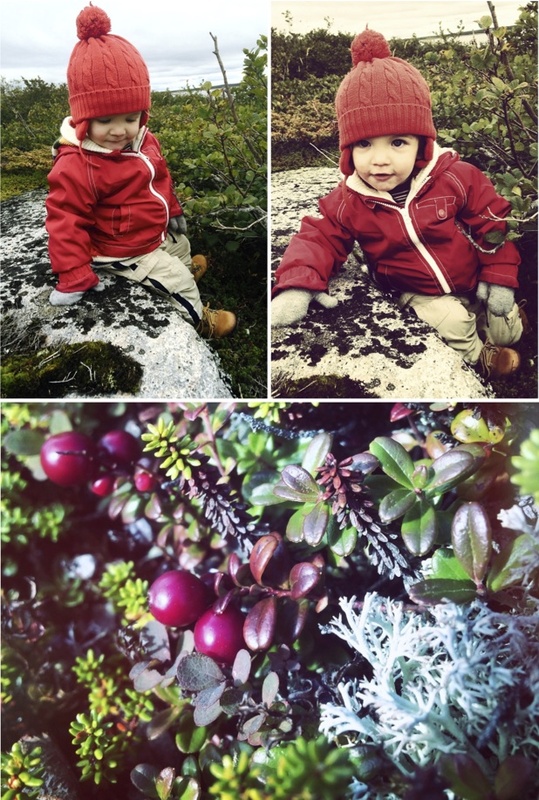 This kid of ours just keeps on getting cuter, by the way. He's a handful all right, but he's so delightful and brings this entirely new dimension of joy into our lives. I always knew that I would love being a mamma, but I had no idea it would feel so right. Like this is what life is truly all about. At least for me. I think I've finally reached the point where I can say that it's hard to remember what life was like before we had him. We must have had sooooooo much free time!! Honestly, what on earth did we do with all that extra free-time?! Homemade pizza looks super delicious, good job Vanessa!!! I am always curious to see the great north changes, so thanks to sharing this pics. I am getting a pizza stone. And I'm still in shock it's snowing where you are. BEWARE the pizza stone, we were just talking last night about ours - it just crumbled one day when we took it out of the oven. Hot heavy pieces of pizza stone everywhere. Okay thats my motherly warning for you, now enjoy!